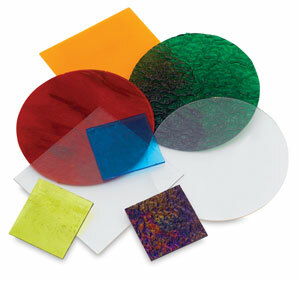 Amaco glass sheets come in a variety of beautiful colors, including iridescents. Use them with glass slump molds, glass shapes, mosaic chunks, and glass noodles to create original works of art. All are guaranteed COE 90 compatible. Available in either circular or square sheets.